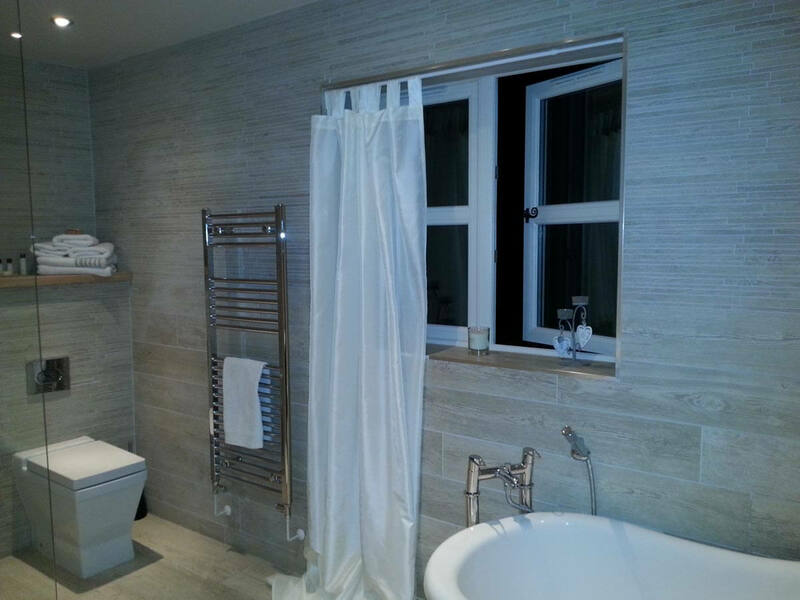 Kenny and Sam have recently completed the total refurbishment of their Market Drayton home. 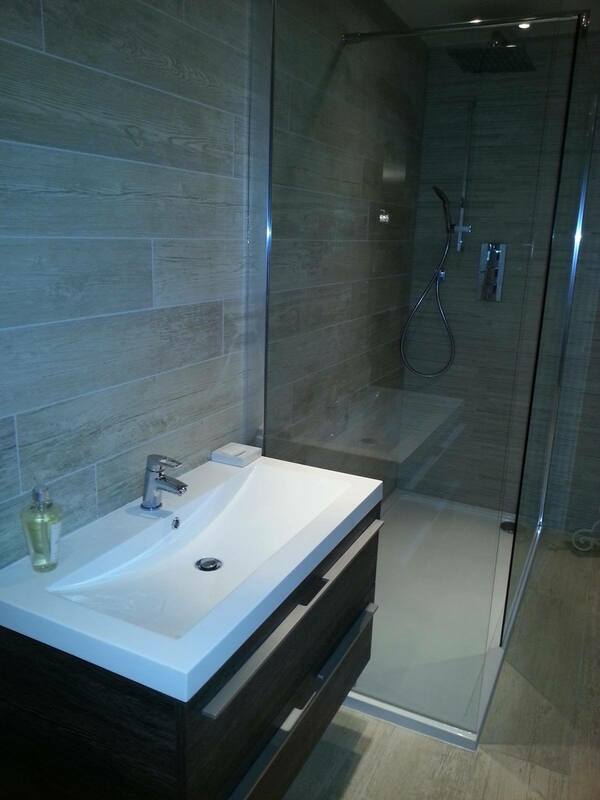 They have made a great job in choosing some wonderful porcelain stone and wood effect, wall and floor tiles and have obtained a stunning finish in all of the bathrooms. 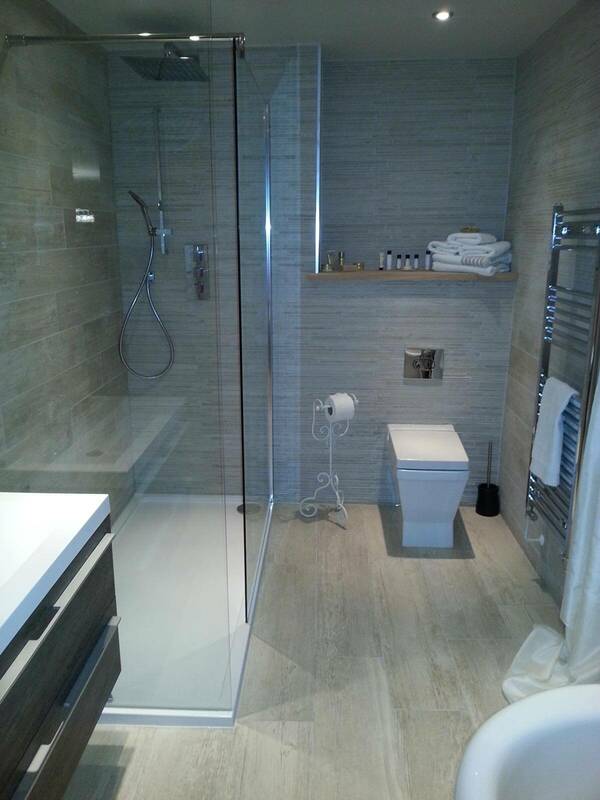 Large format ( 60 x 120 cm ) porcelain tiles have also been used for the ground floor areas to create a beautiful flowing space. 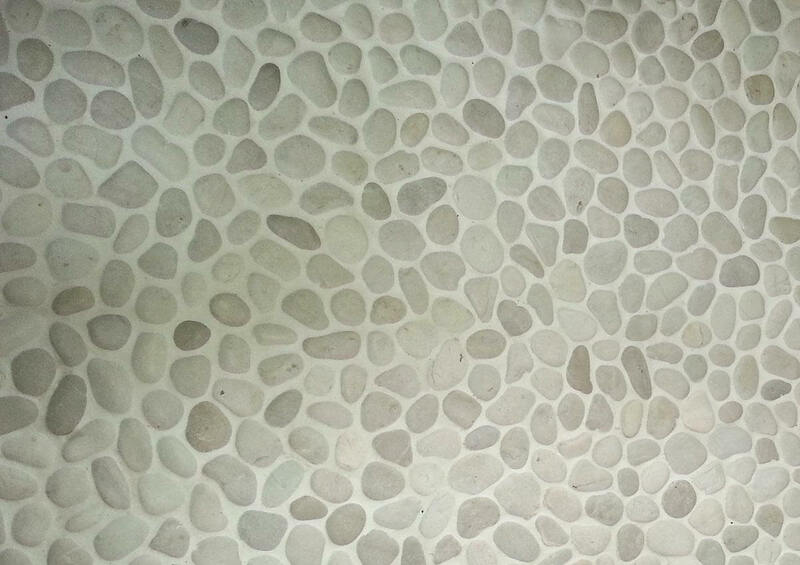 As this is porcelain, there will be little or no maintenance required. We would like to offer a special thank you to Kenny & Sam and all of their friends in and around Market Drayton who have supported us during the last few years.